A new game hit Google Play yesterday, one that should be keeping you quite busy over the weekend. 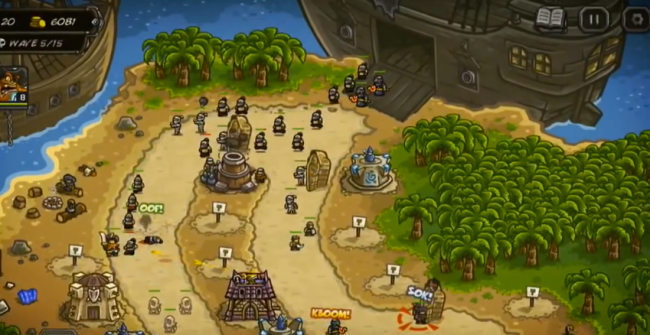 It’s called Kingdom Rush: Frontiers, the sequel to the first Kingdom Rush game that is still quite successful on Android. It’s your standard tower defense title, but with many different twists that bring an original touch to the gameplay. You lead your troops through epic landscapes, then set up upgradeable towers as waves of enemies come crashing in. You will also need to watch out for man-eating plants and even dragons throughout the new worlds. It’s dangerous out there. The game costs $2.99 on Google Play, so if you were a fan of the first Kingdom Rush, go grab it.